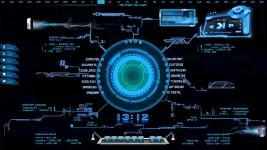 Rainmeter is a desktop customization platform. Through Rainmeter, you can enhance your Windows computer at home or work with skins: handy, compact applets which float freely on your desktop, much like Windows Sidebar gagdgets, or dashboard widgets for the Mac. 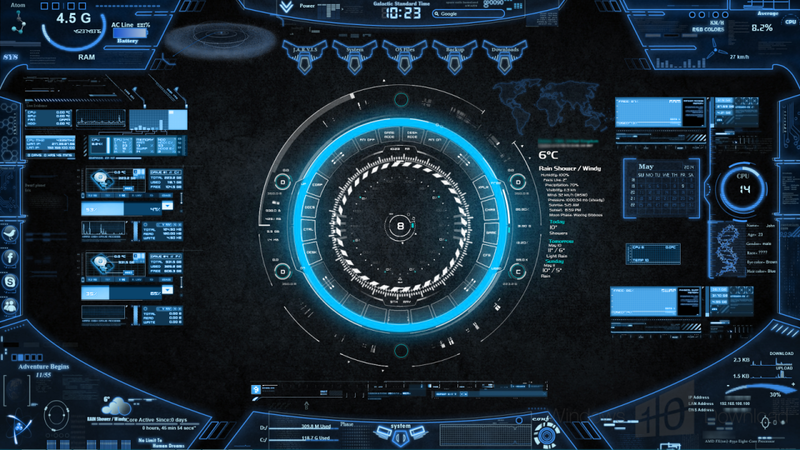 Rainmeter skins provide you with useful information at a glance. 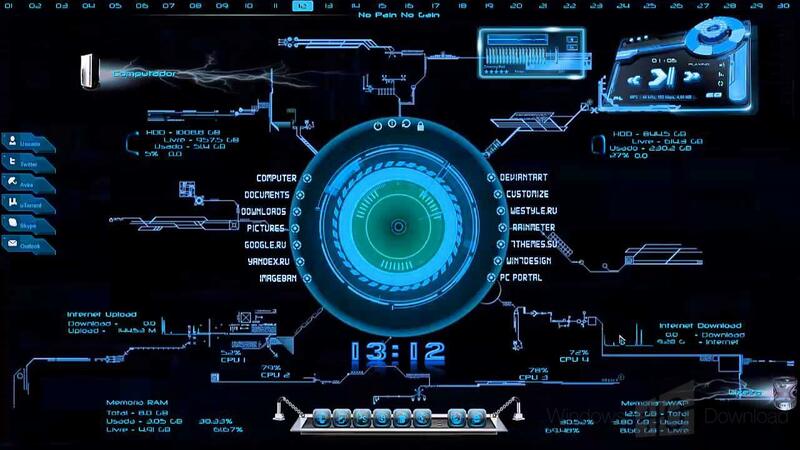 Rainmeter is a desktop customization platform. Through Rainmeter, you can enhance your Windows computer at home or work with skins: handy, compact applets which float freely on your desktop, much like Windows Sidebar gagdgets, or dashboard widgets for the Mac. 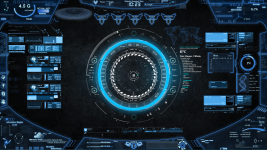 Rainmeter skins provide you with useful information at a glance. It's easy to keep an eye on your system resources, like memory and battery power, or your online data streams, including email, RSS feeds, and weather forecasts. Many skins are even functional: they can record your notes and to-do lists, launch your favorite applications, and send your tweets to Twitter - all in a clean, unobtrusive interface that you can rearrange and customize to your liking. With Rainmeter, there are no secrets. Our bundled library of open-source skins covers a wide range of functions, but if you want your desktop to do something new, you don't have to wait for us. Every inch of a skin is completely customizable. 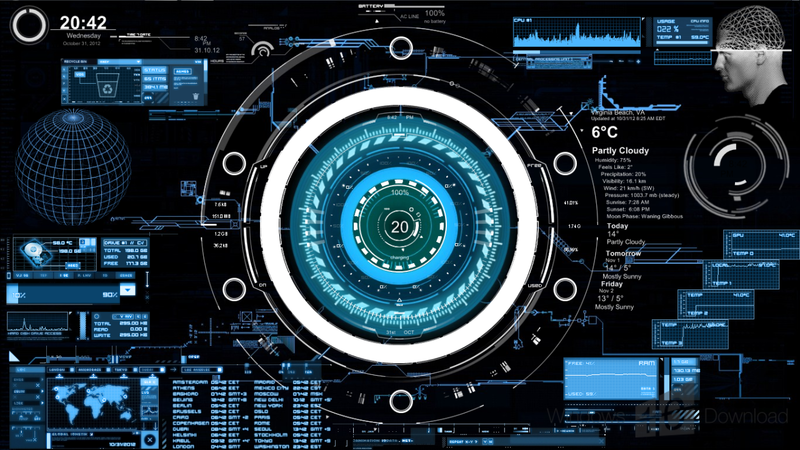 Rainmeter skins are written in a simple, elegant language that's easy to learn for anyone who's willing to put in the effort. Skins call upon measures, a set of powerful built-in modules that do all the heavy lifting, and create interactive meters to display that information however you decide. In this way, Rainmeter brings productive innovation together with creative artistry like no other platform of its kind.